Large cave advice sweatshirt. Text reads, Breathe deep. Find Beauty in unexpected places. Search inward. See the hole picture. Good things take time. Look beneath the surface. Hang tight! 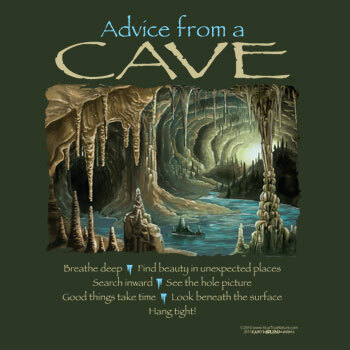 Advice From a Cave will delight any cave lover or self-help enthusiast.